No part of the material and databases in this site may be reproduced, transmitted, transcribed, stored in a retrieval system, or translated into any human or computer language, in any form or by any means whatsoever, without the express permission of the HollywoodNews.com, 433 North Camden Drive, Suite 600, Beverly Hills, CA 90210, USA. (1) This World Wide Web site comprised of Hollywood News®, HollywoodNews.com and any of its other areas – was created to provide information, news, services and products related to the entertainment industry. We try our best to make sure that only reputable industry professionals and/or products are offered to net users. However, the users of this site shall indemnify and hold the HollywoodNews.com, their directors, officers, employees, and agents harmless from and against any and all damages, liabilities, losses, costs, and expenses, including reasonable attorneys’ fees, arising out of or related to users’ use of information, services or products offered and/or presented in this site. 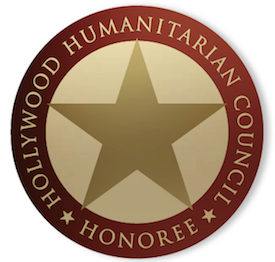 (2) In addition, it is further agreed by you that by introducing you and/or your projects to third parties, the Hollywoodnews.com and its holding company is not responsible for any contracts or negotiations between you and anyone you contact or anyone who contacts you via access to Hollywoodnews.com and that it is your sole responsibility to check and verify the credentials, veracity, and reliability of anyone you deal with. The Hollywood Network, Inc. – Hollywoodnews.com will not and cannot be responsible in any way for your dealings with third parties you come in contact with via the Hollywood News®, HollywoodNews.com, or any of the other areas contained within the HollywoodNews.com subsidiary sites, if any. (3) Furthermore, this is an open site and medium (including areas accessible to users by password). By posting material, such as log lines, synopses, project information, business or personal information, questions, or any other type of message or information, in any form, you agree and understand that you do so at your own risk, and that the Hollywood Network, Inc. cannot be held responsible for any potential copyright infringements or other rights infringements caused by any parties that may have access to this site, and you agree to indemnify and hold the HollywoodNews.com and its holding company, their directors, officers, employees, and agents harmless from and against any and all damages, liabilities, losses, costs, and expenses, including reasonable attorneys’ fees, arising out of or related to material you place or cause to be placed in this site. .
(4) By using this site, you agree that the HollywoodNews.com and it sholding company has the right, in their own discretion as owners/operators of this site, to delete, edit, reformat or move any messages or other material placed or caused to be placed on this site by you. This site is not a secured environment. Therefore, if you select to use your credit card(s) you will be doing so at your own risk. Furthermore, please be informed that you will indemnify and hold HollywoodNews.com and its holding company, their directors, officers, employees, and agents harmless from and against any and all damages, liabilities, losses, costs, and expenses, including reasonable attorneys’ fees, arising out of or related to the use of credit card(s) in this site.